Nothing beats a baked potato. You can make them as involved with your toppings or as simple as you like. I love them with butter, sour cream, chives and pepper. For a meal they are great with broccoli and cheese, maybe some shredded chicken thrown in for protein. They are so versatile! Most people put their potatoes in the microwave and cook until soft. This is ok, but it’s not my favorite method. Putting them in the microwave makes the potato flesh a little gooey. It leaves me feeling a little, well, meh. But baking a potato in the oven? It makes the potato flesh so fluffy and yummy. Roasting a potato? Now that is taking it to the next level! This method is different because you aren’t wrapping the potatoes in foil. Instead, you rub them in olive oil and kosher salt. This keeps the potato from burning, but it makes the skin crispy, like a potato skin minus the deep frying! Eat these all by themselves, or try them with my Crock Pot Roast! Make as many as you like. Since roasting them takes longer than the old microwave method, I make a batch of 8 and we eat them throughout the week. Preheat your oven to 450 degrees. 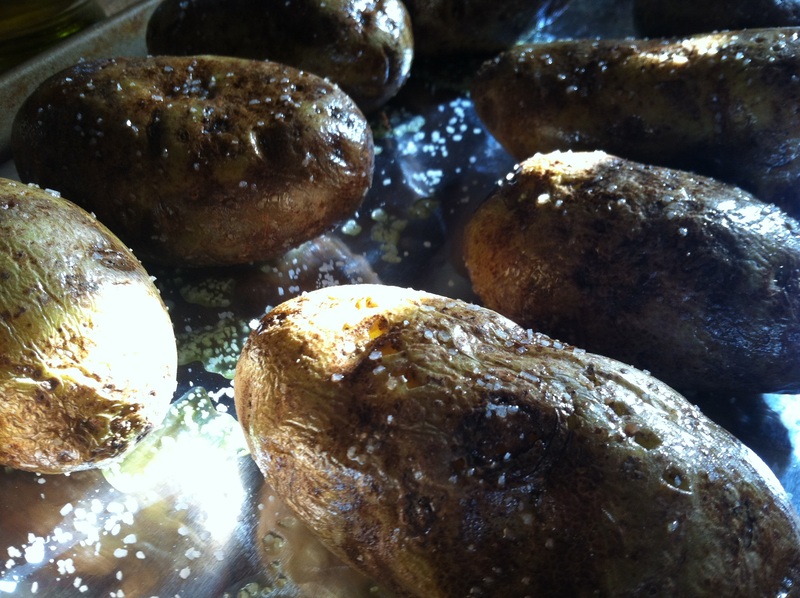 Place your potatoes on a rimmed baking sheet and drizzle with olive oil. Sprinkle with kosher salt. 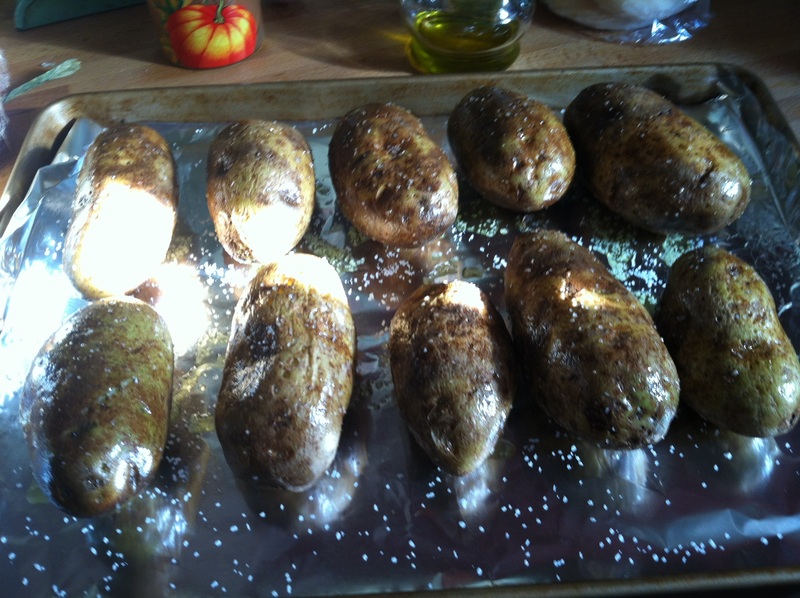 Pick up each potato and rub in the olive oil and salt. Place back on baking sheet and prick each potato with a fork a couple times. Bake in oven uncovered for 25-45 minutes. The baking time will vary depending upon the size of your potatoes. Check them at 25 minutes and if a fork slides easily into the potato, they are done. Increase the time by 10 minute increments until done. My potatoes took 40 minutes total – the smaller ones were done at about 30 minutes. So, our oldest birds are now 8 weeks old. With the days hovering in the 80’s and nights in the mid to low 50’s, it’s time for these birds to relocate from the garage to a more permanent OUTDOOR home. Add to that we can now tell we have what we THINK are 5 roosters and 7 hens. The Wyandotte roosters? They’ve started doodling. I cannot begin to even imagine the noise level if they all decide to start getting chatty in the garage. Oh the echo. Oh the horror. So Operation Habitat for Hens is well underway. The hubs built a beautiful shed for us to utilize for storage of garden/outdoor tools and what not about 2 years ago. He decided to attach the coop to the left side of the garden shed, making it look like an extension of the original shed. Sort of like it was on purpose. He ordered the red metal commercial roofing to match the shed. We lucked out and got an extra piece of roofing (they use a piece to protect the order from scratches, and ours happened to be in the same color!) so we were able to make the coop and run that much bigger! The coop, when complete, will be enough to house all 12 of the chickens and 2 ducks. 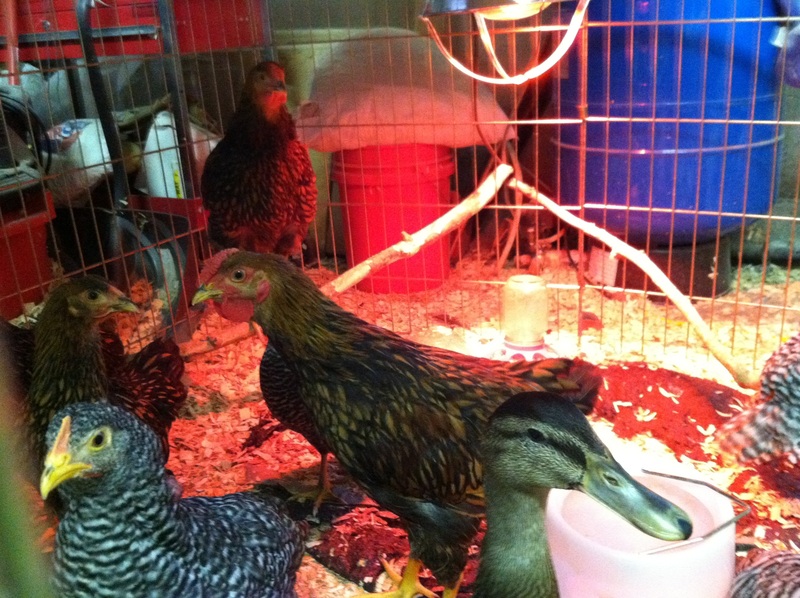 But, since we have decided to keep 1 rooster (originally, we were just going to have the hens, hubs decided he wanted a Roo to protect our ladies) We only need space for 8 total chickens and the 2 ducks. I have a sinking feeling that our lady mallards won’t stay with us, that the lure of the creek and their Mallard kin that reside in it will call to them and they will join them. Sniffle. If that happens, we will have 7 hens and 1 Roo. They will have a decent sized fenced in run to meander in that will be totally covered by a roof to provide them shade and keep them dry. It will be chicken utopia. They will be euphoric. Hubs essentially built this from his minds eye. He’s so amazing at construction. No plans, no guide, just an image in his mind that he’s bringing to life before our eyes. I’m not good at things like measurements, and planning materials. He does is beautifully. I am in awe of his skill, and so thankful that he’s doing this pretty much for me. I wanted the chickens…he purchased them knowing he was going to have to built them a house. That’s love. The boards that are the coop ‘siding” were free! Yep, FREE! They were once tongue & groove wood that was used as a container for construction items. The tongue & groove aspect means hubs doesn’t have to put battens on it! We decided to use a piece of linoleum for the floor of the coop to assist in making cleaning easier. That was also FREE, gifted to me by a friend. We essentially paid for roofing, hardware, chicken wire, and the boards to frame the coop in. I think our costs are at around $300. The free wood and linoleum helped to keep our costs down immensely. We are going to end up with a good chunk of extra chicken wire, but it’s ok. We can use it for repairs if we need to. It’s not like it’s going to go bad! At this point we are at about 2 days worth of work. We’ll need probably 2 days more to complete the coop and run, and then the birds will be relocated. Hubs has given them their eviction notice. Now he just needs to finish up their home. Stay tuned for the complete coop, as well as photos of the birds in their new home! Sooooo, ya. Um, dulce de leche. If you haven’t ever heard of it, or tasted it….you are SO missing out. 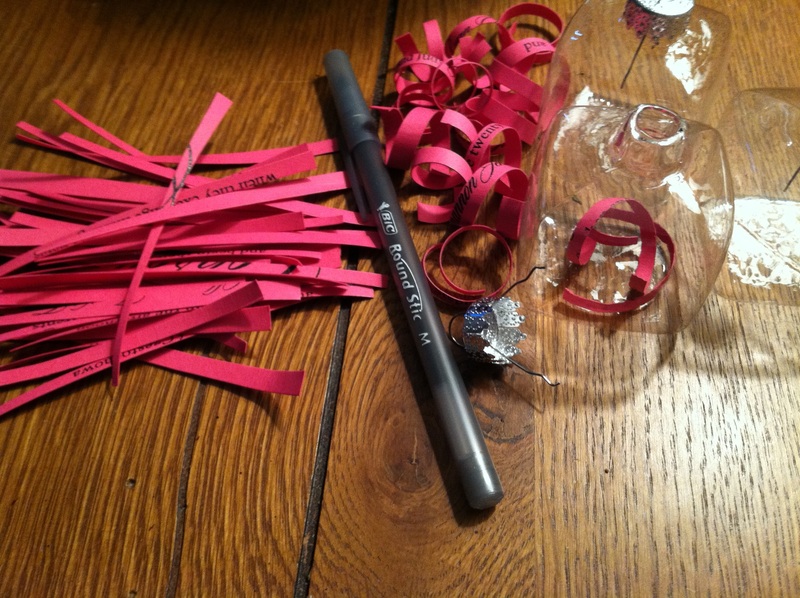 But fret not my pretties, for you can have some of you very own with very little hands on time. Yep. Not only is it amazingly delicious, but it requires such minimal efforts on your part that you can do this before going to work!!! And you only need 4 total things to create rich, velvety caramel laden goodness. Additionally, this method isn’t dangerous like the regular method that is floating around the net where you put the WHOLE UNOPENED CAN into your crock pot. Ya. I’d like to not have any explosions of molten hot caramel lava flung around my kitchen. 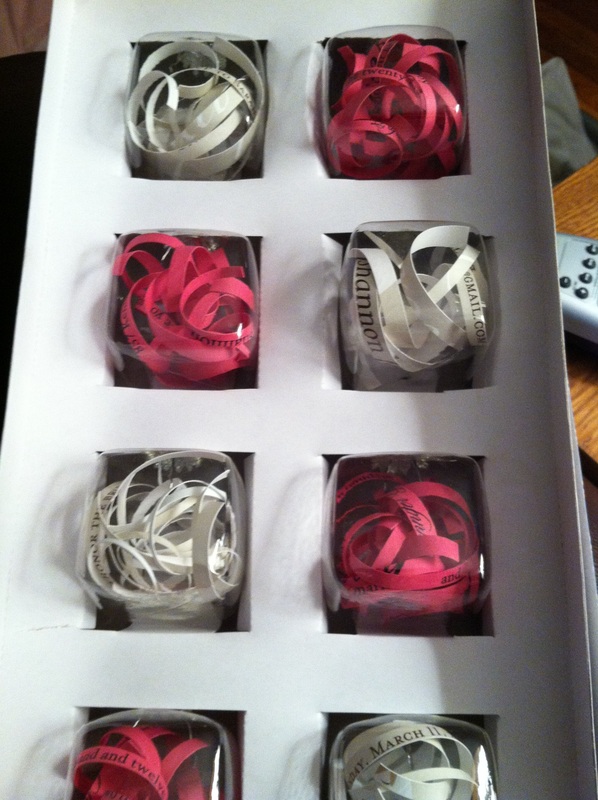 Plus, this way is totally fullproof, because you can SEE the color of the contents and know it’s done. Yep, that’s it. How many mason jars you need depends on how many jars of dulce de leche you want. I wanted to fill my crock pot to make it worth my while so I filled 7 jelly jars. 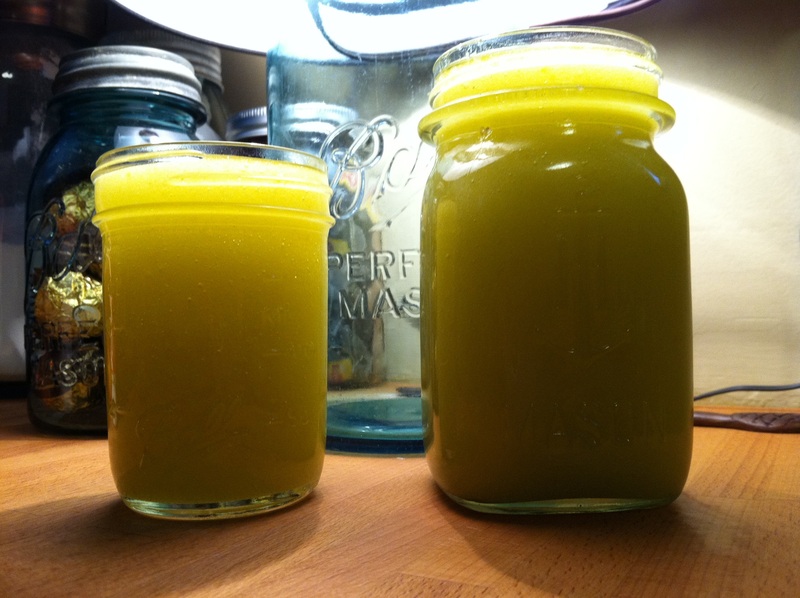 For those 7 jars to be filled, I used 5 cans of sweetened condensed milk. Clean your mason jars and lids in hot soapy water. Let air dry or dry with a lint free towel. 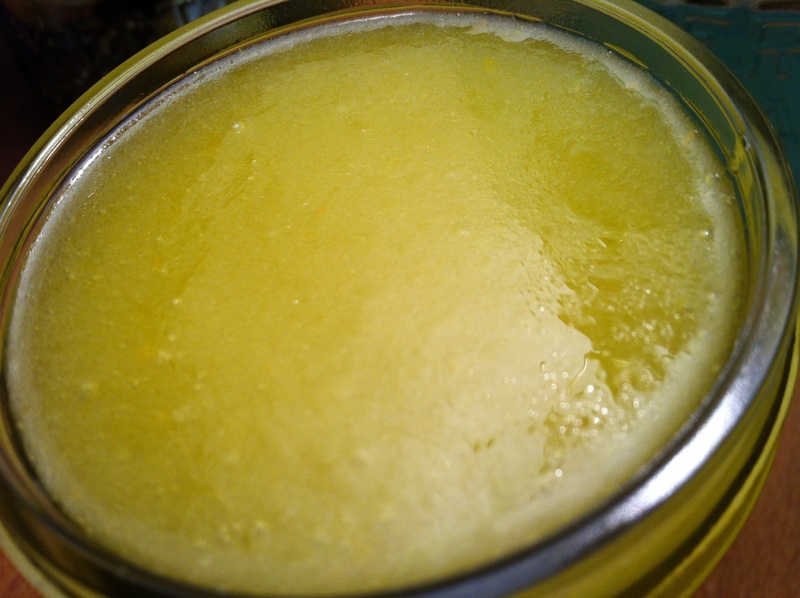 Add sweetened condensed milk up to the thick band on the glass right under the threads. 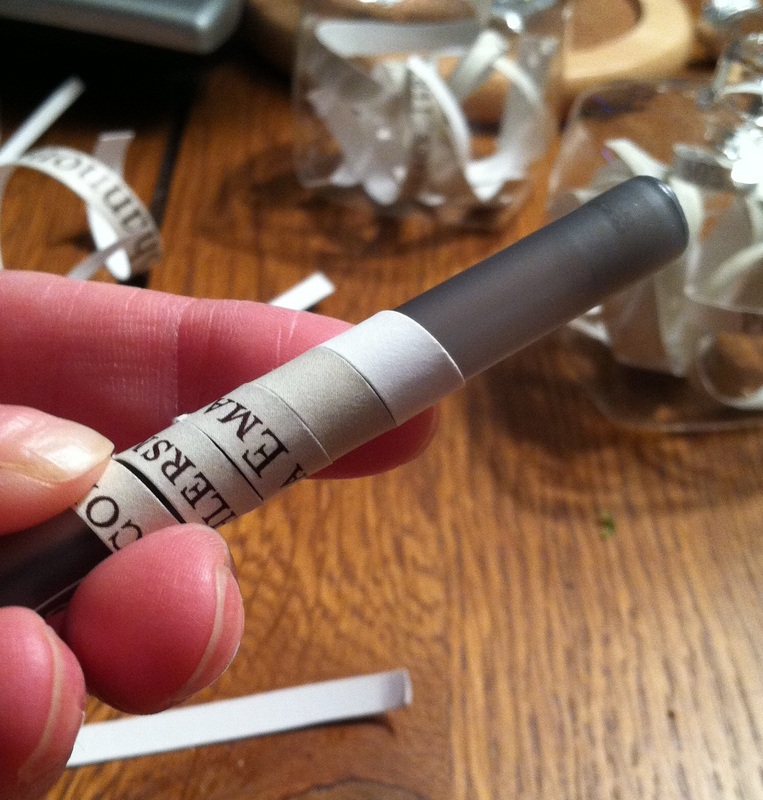 Add the lid and a screw band to finger tight. Put them right into your crock pot. Once you have added all your jars, add hot water (from the tap, not boiling!) to cover the tops of your jars. In my pot, I just added water right up to the lip that the lid rests on. Turn your crock pot on low and set the time (if you have one of the smart crock pots) or set a timer if you do not. Let them sit in the crock pot for 8hrs if you want a creamy dulce de leche, 9hrs if you want it thicker. I’ve read on the net where they left it in as long as 11hrs, but mine was nice and set at 8hrs. Feel free to check at 8 and if it seems like you want more time added, tack on an additional hour. Once the jars are the desired color and consistency you want, carefully remove the jars and let rest on the counter overnight to cool. Your jars screw bands may be rusty looking as they did just soak in water for 8 whole hours. Just wipe them off once the jars cool. We have well water so mine had a lovely mineral film on them in addition to rust. Yipee! The jars will seal – but since it is a milk product, put them in the fridge the following day. There is not a lot of info out on the net right now as to shelf life, mostly no one has much left after one month! But, I’m going to freeze a few jars to see if the taste and texture are still good and will update. But I am definitely going to have to freeze some ASAP or there will be none left. None. Now, wondering what to use this lovely stuff for (other than shoveling it straight to your pie hole with a finger or spoon that is)? I’ve used some to sweeten tea and coffee. It’s great for an apple or pretzel dip. Mixed into cake icings. As a cake filling. And I’m going to be testing it out in a recipe for a spanish cookie called Alfajores – this stuff is the filling in them. Mmmm. We’ve all been there. You’re slicing, mincing, chopping garlic like it’s your job. You wash your hands. You wash your hands again. And again and again and…you get the point. They still smell of garlic! Or you’re mixing up some bread dough and you’ve got dough crusted around your fingernails and stuck all over your hands and it’s going to take at least what seems like days to get it off with the old soap and water method. Fret not oh fellow kitchen queens. This kitchen scrub is here to save the day! All natural, and made with ingredients that you have in your kitchen (you SHOULD have these ingredients in your kitchen!) The sugar helps exfoliate your hands, the olive oil keeps your skin moisturized, and the lemon juice and zest cuts through the stink and leaves behind an oh so mild lemony freshness. I keep mine next to the sink in an old mason jar and just scoop out some when I need it. If you’ve been touching meat be sure to use a spoon to get the scrub out so you don’t contaminate the jar. I’m going to make a second batch and keep a jar by the laundry tub for after gardening or painting cleanup. 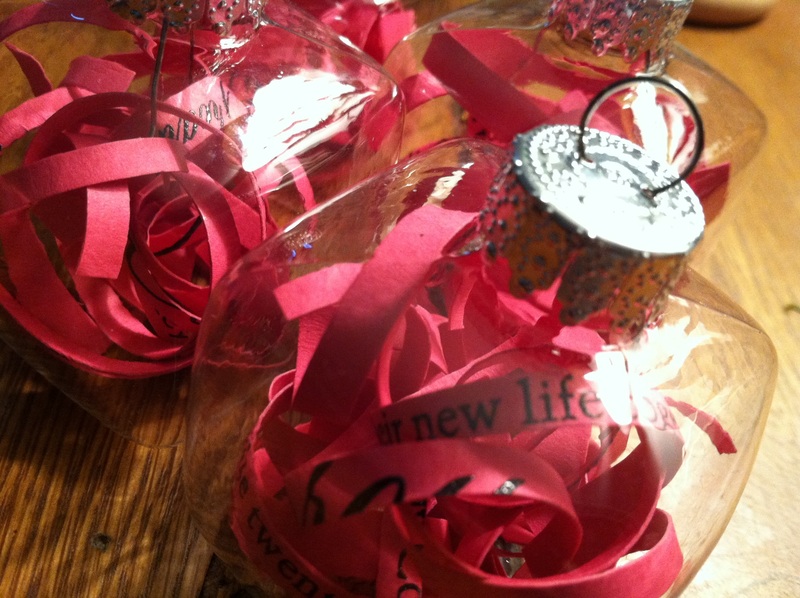 This would also make a great little gift for the holidays or a housewarming! This recipe will yield 3 jelly jars worth of scrub of 1 pint and 1 jelly jar. Stir to combine and put into mason jars. Voila. DIY made fast. And easy! 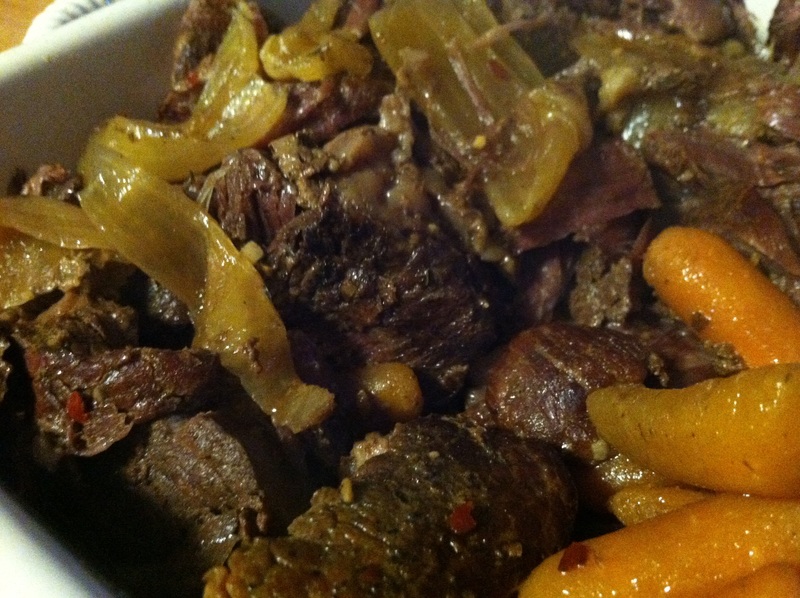 Pot Roast – this is one of those dishes that brings memories back. 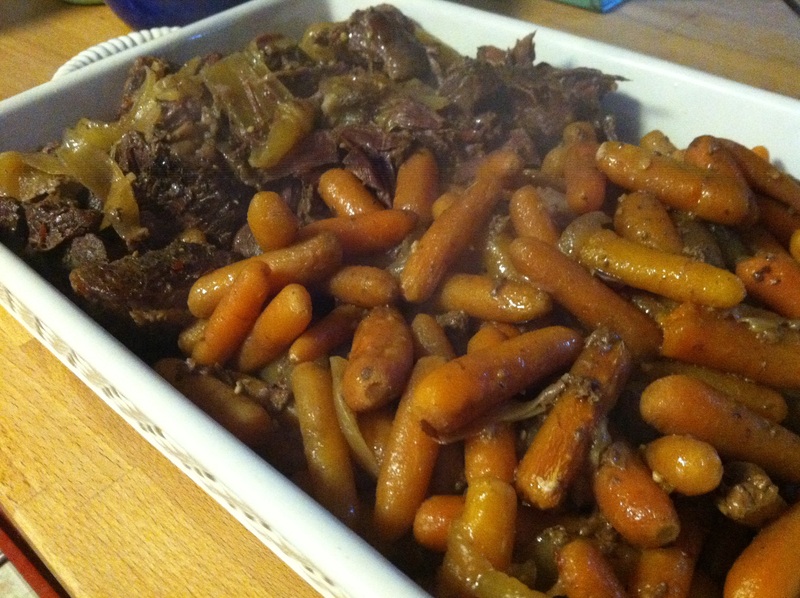 My gram always made a pot roast in my Bubba’s old teal aluminum pan. I say made because she gave me this pan, and when I make pot roast on a Sunday, it’s what I use. I love this pan. It’s not shiny and new. It’s scratched, dinged, stained and full of history. It’s been the star of many a meal. It’s a piece of my families history. Back to grams pot roast. She would sear it on both sides, put it in the magic teal pot, dump in an onion soup mix packet, a little water, and a bag or two of baby carrots. 3 hours in the oven, she would add in chunks of peeled potato spears and cook it for another 1-2hrs. The house smelled amazing, the meat fell apart and melted in your mouth like butter. Comfort food at it’s finest. In my meal planning I wanted to try to use my crock pot more often (especially since I discovered the crock pot liners that save time with cleanup!!!) so I decided to do this as a weeknight meal. Prep is pretty minimal. I browned the roasts (they came in 2 pieces since I bought it in bulk) on each side and seasoned them with kosher salt and pepper. Into the crock pot they went with the 2 bags of baby carrots and 1 vidalia onion. When I came home, the house smelled FANTASTIC! I mean, it was all the way into the basement! My poor dog was probably going nuts with hunger over that amazing smell wafting down the steps. Instead of putting the potatoes in the crock pot with the meat and carrots, I opted for my Oven Roasted Potatoes. These were a great accompaniment since the skins are so crispy and crunchy, and I am a huge fan of baked potatoes. Yum! Season both sides of the meat with kosher salt and pepper. Sear both sides in a preheated skillet to brown the meat. Place browned meat in the crockpot, sprinkling with the roasted garlic seasoning. Dump the bags of carrots in and sprinkle those as well. Put the lid on and set the crock pot to low. If you have a timer, set it for 9hrs. No times, turn the crock pot to warm or off after 9hrs. Serve with Oven Roasted Potatoes, mashed potatoes, fries, parslied potatoes – whatever you like! Add a salad for a complete meal. Want this to be an oven meal? Place in a lidded roasting pan and cook at 400 degrees for 4hrs.